Get started on building your own astromech droid. 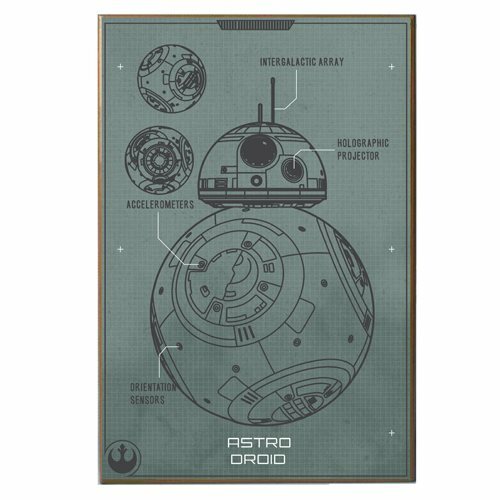 Printed on wood and measuring about 19-inches tall x 13-inches wide, this unique Star Wars BB-8 Schematic Wood Wall Art presents a diagram of the little guy with words pointing out his intergalactic array, holographic projector, accelerometers, and orientation sensors! Ages 13 and up.